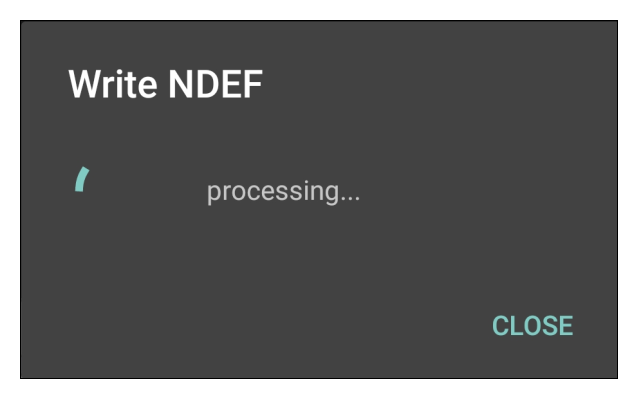 This guide demonstrates how to use Android built-in NFC reader and NFC Gears' Write NDEF message feature (available in version 2.2.24 and later). 3. 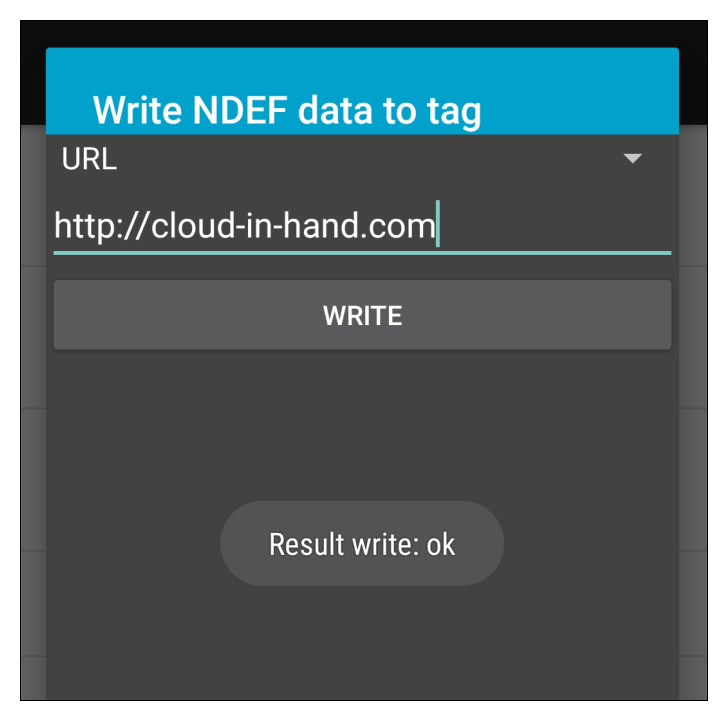 Hold the NFC tag up to your Android phone's NFC sensor. 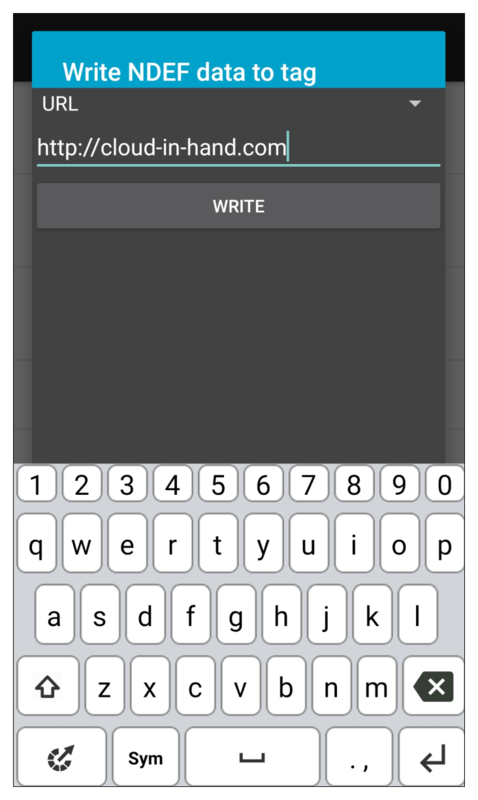 4. tap on "Write NDEF message." 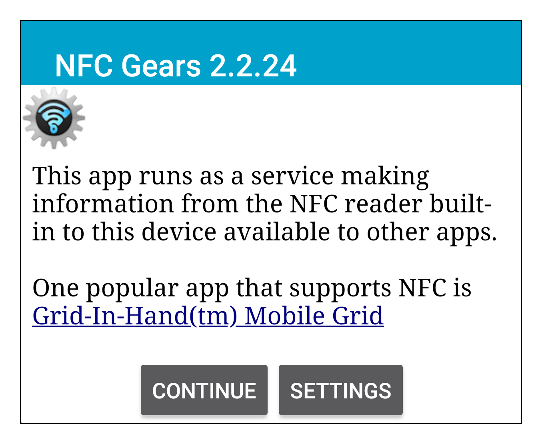 You will receive a prompt explaining that the built-in NFC reader can only write to an empty tag. 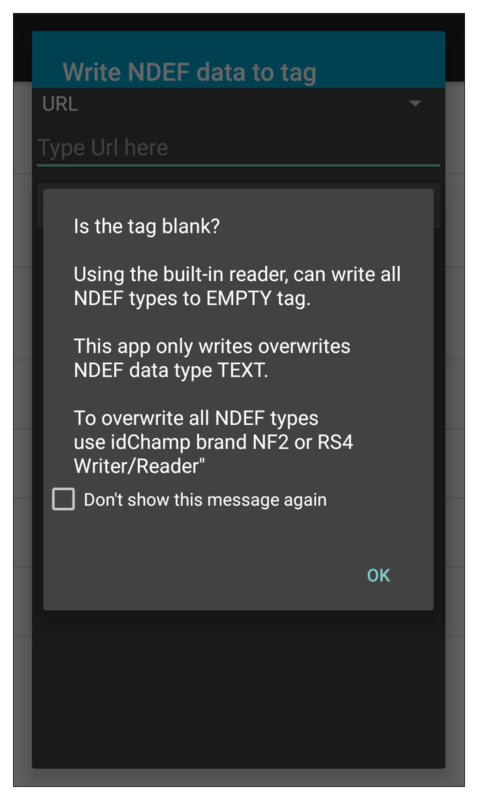 If you need to overwrite NDEF data, you will need to use the idChamp NF2 or idChamp RS4. 5. 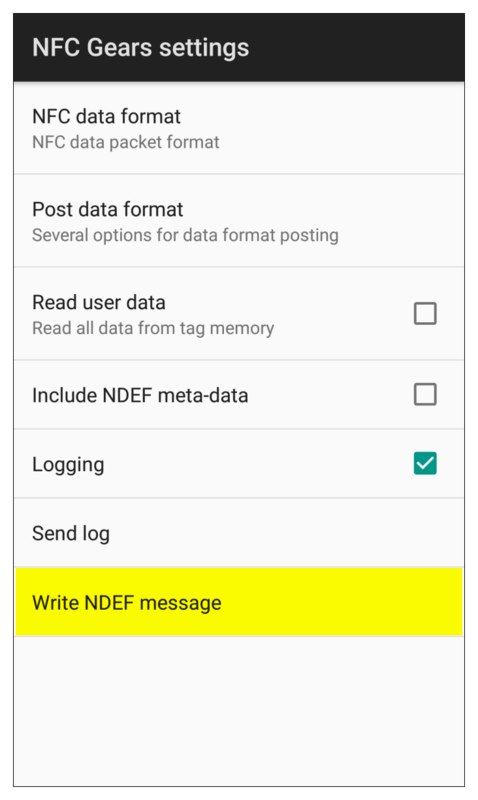 Select the NDEF data type. 6. Enter the data to write to the empty tag. 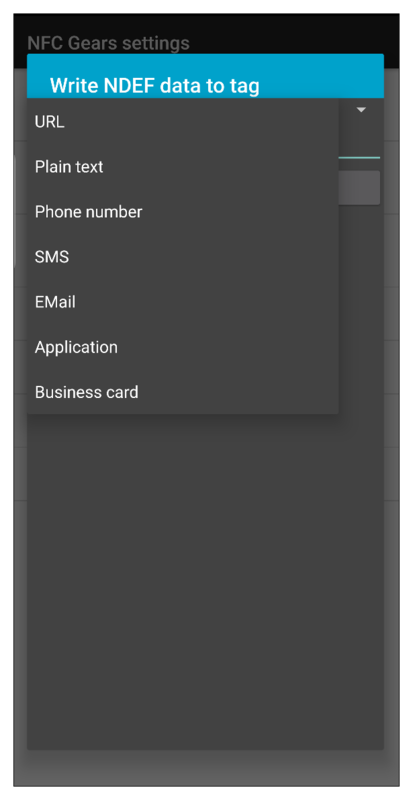 It must be consistent with the data type selected in the previous step; for example, if you selected "URL," the data must be a URL. You should receive a pop-up alert stating "Result write: ok."
In this example, we used a URL data type with the data "http://cloud-in-hand.com." 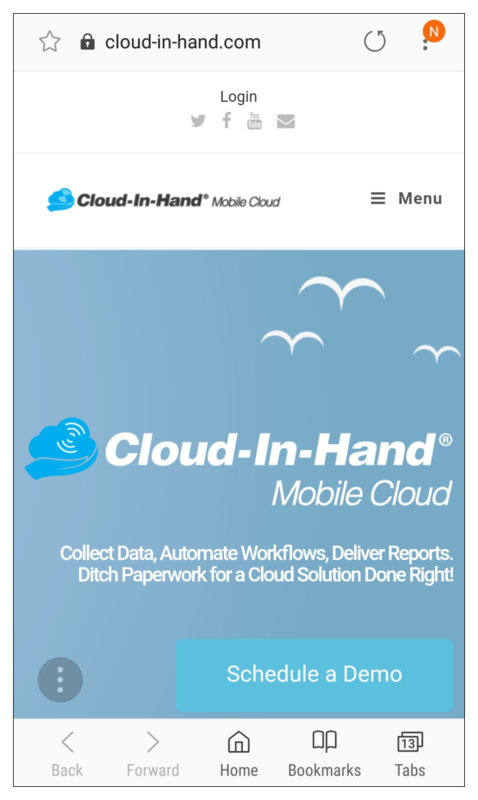 When we scanned the tag, the Android OS launched the browser and navigated to Cloud-In-Hand.com.